You may have noticed the change in my gravatar image. I wanted something more recent, as the other photo was taken during the winter. It is spring here now. I was inspired to pick this particular portrait of me. As it’s a cartoon drawing, it isn’t quite as noticeable as my other one (especially in the midst of other blogger gravatars), but I wanted to have some fun with it for a while! It’s something new and different. This drawing is a birthday present to me from my daughter, Sonja. A manga-style drawing of me! So cool! She’s been drawing since she was very young, and it was in her teen years that she developed an added interest and passion for animé and manga art. She had done some similarly styled cartoon portraits of her brothers for their birthdays recently – and so I asked her a while back if she’d do one of me. I am thrilled with this drawing! I love the swish of the hair and the smiling eyes!! 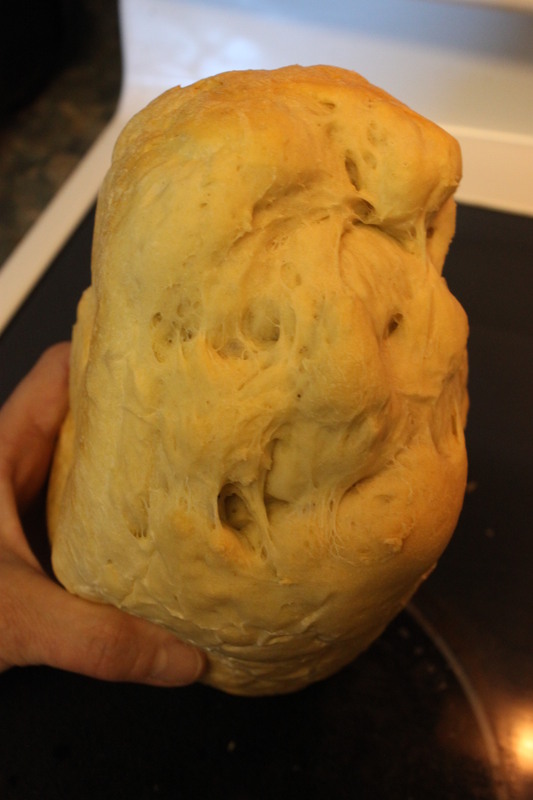 So…..about two months ago, I finally hauled out the bread machine with the intention of using it again. It had been stashed in the bottom cupboard after the move with the idea that at some point I would use it. And then it just sat there…..waiting. Well, when I pulled out a recipe I could try for making bread in my machine, that was the impetus to give it a whirl. I gathered all the ingredients, measured and put them together, and pushed the ON button. As the dough went through the various cycles of mixing and rising and kneading and rising and baking, I kept peeking into the side window, wondering if all would work out. Would the machine still work after sitting for so long? Would the yeast be still all right (as I had let that sit as well)? Well, the rising bread in the window looked rather nice, so I felt hopeful. And when the timer went off to signify that the bread was done, I pulled out the pan, let the bread cool briefly, and removed the loaf. It was pale in colour – due to my having picked the “light” setting – and small in size, but it looked good and tasted…..yummy! And well, it looked like a normal loaf. 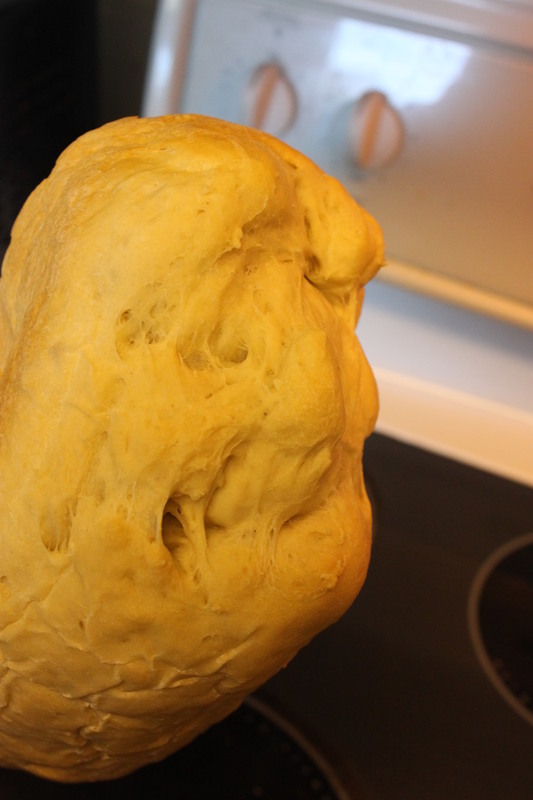 It was actually the THIRD loaf I made after that one, where the final product had at one end what looked like an old face formed in the crust! Sometimes art is revealed in the most unexpected ways.